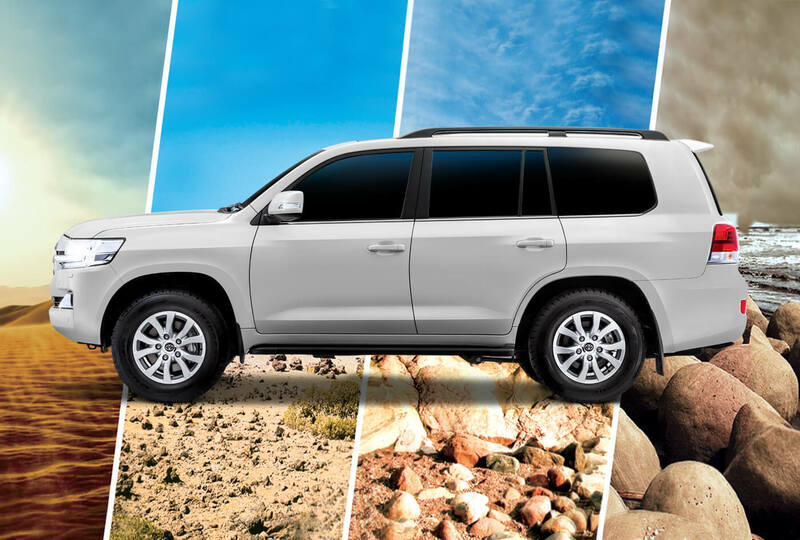 The Victor of Terrains & extreme weathers, Appealing Countless Gazes. 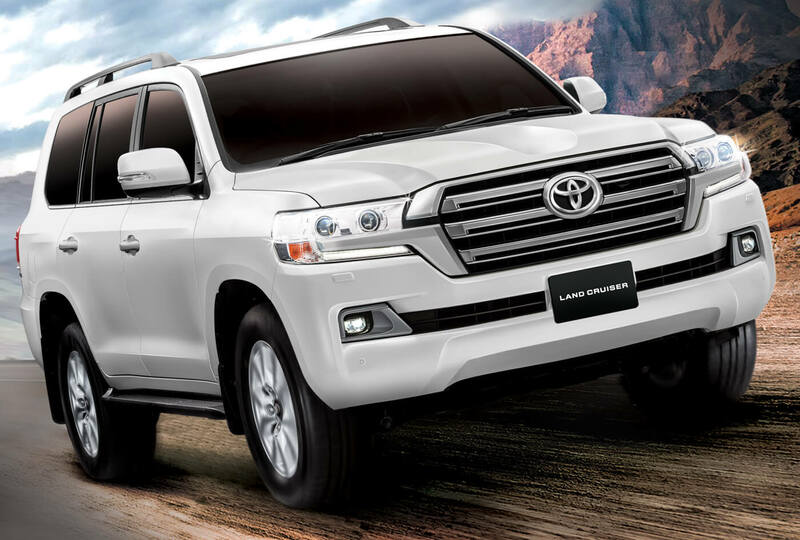 A symbol of novelty, quality, and competence, the innovative styling of the New Toyota Land Cruiser echo the very essence of authority and sophistication. 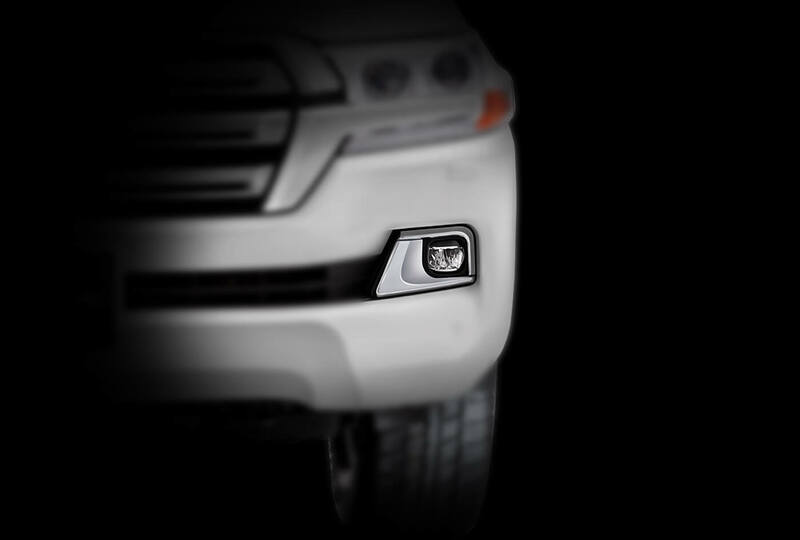 With its rugged elegance, the new and enhanced exteriors are designed to leave your eyes wide open. Five drive modes at the touch of a dial, this radical system offers the optimal traction you need to enjoy the diverse road surfaces. 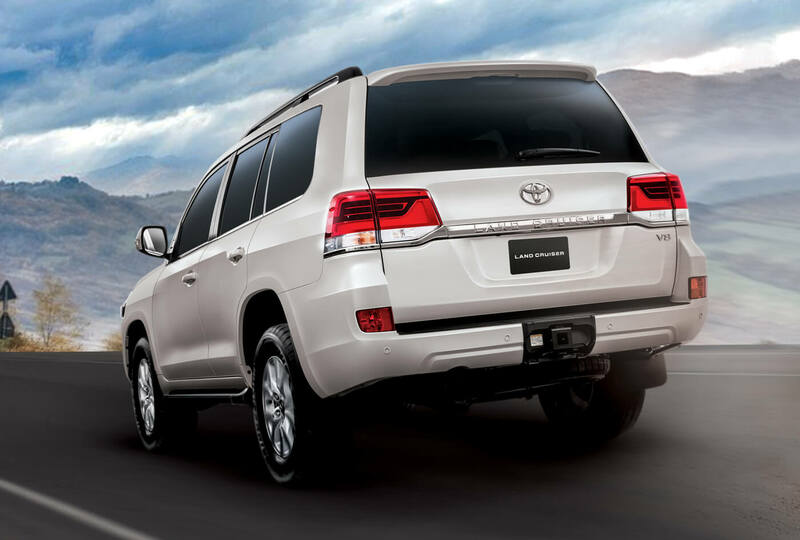 Additionally, when Crawl Control is active, Drive mode is switched to AUTO mode and Active Traction Control (A-TRAC) is also activated, Traction Control matched to the predefined vehicle speed to assist drivers and they enjoy protected and agile control when driving over rough terrain. 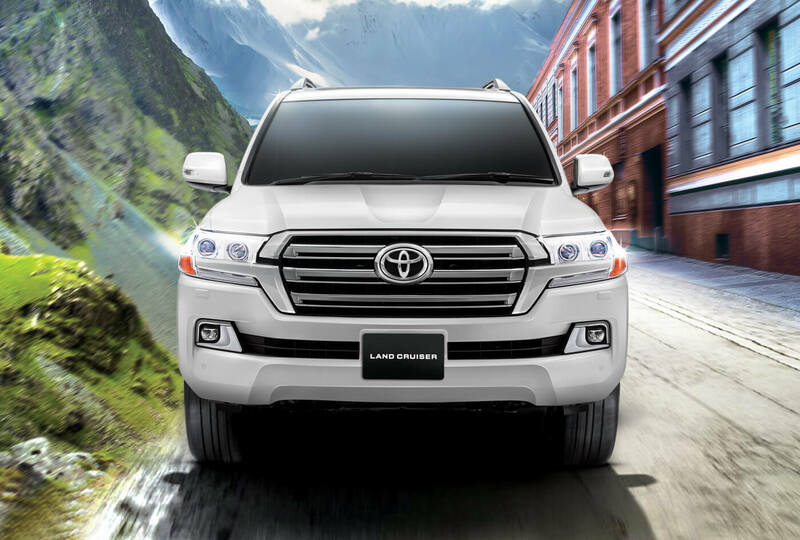 Classic Crawl Control offers optimal brake-control and throttle, keeping a persistent low speed to support secure driving on dirt, sand, snow, rock, steep grades, mud or other accelerator-control critical road surfaces. 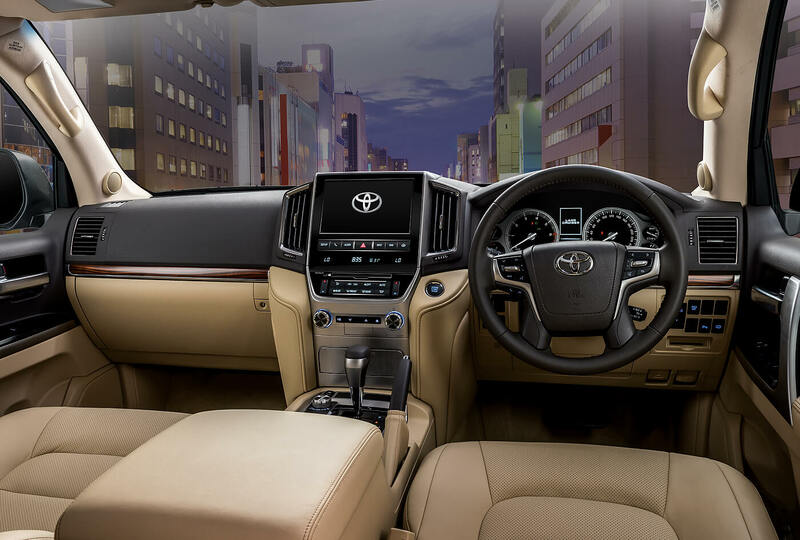 Five speeds with a fully automatic throttle and brake control let you focus only on steering the vehicle. 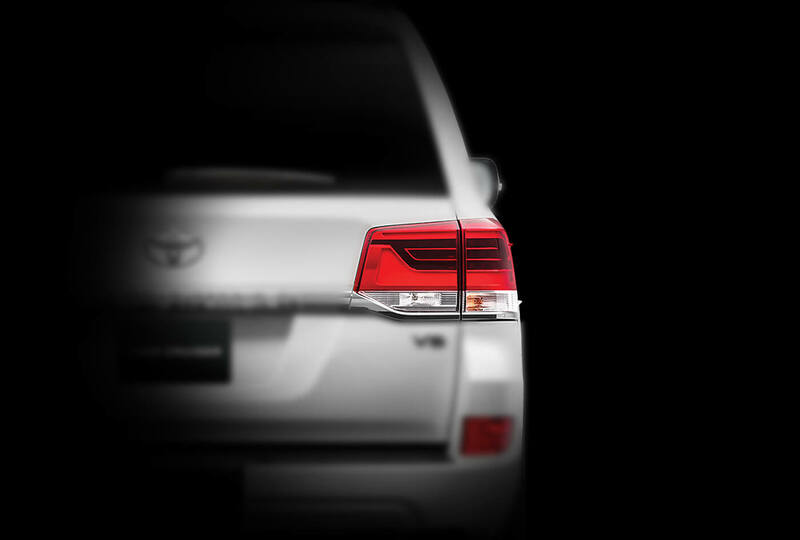 The Turn Assist function helps you to effortlessly execute turns that would otherwise require numerous manual steering moves ensuring steering response when driving at a fixed speed. 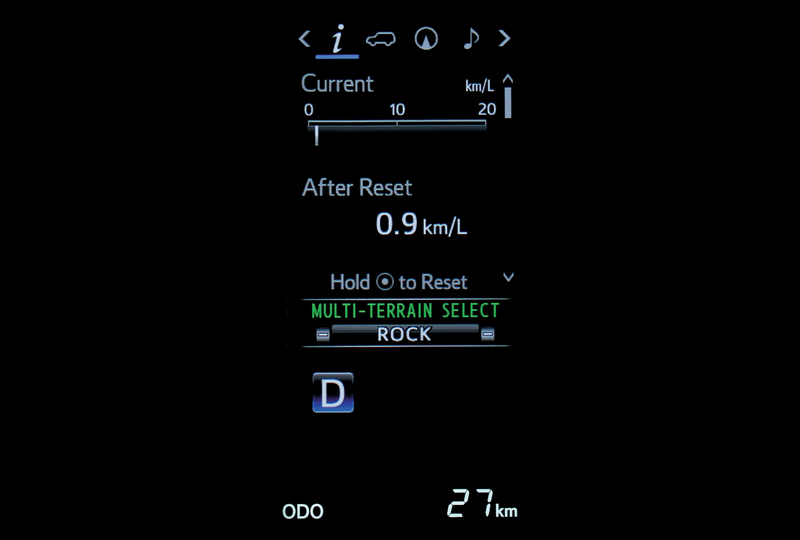 Hill-start Assist Control makes a smooth hill starts possible by dynamically applying brake pressure to grip the vehicle whenever rollback is identified. 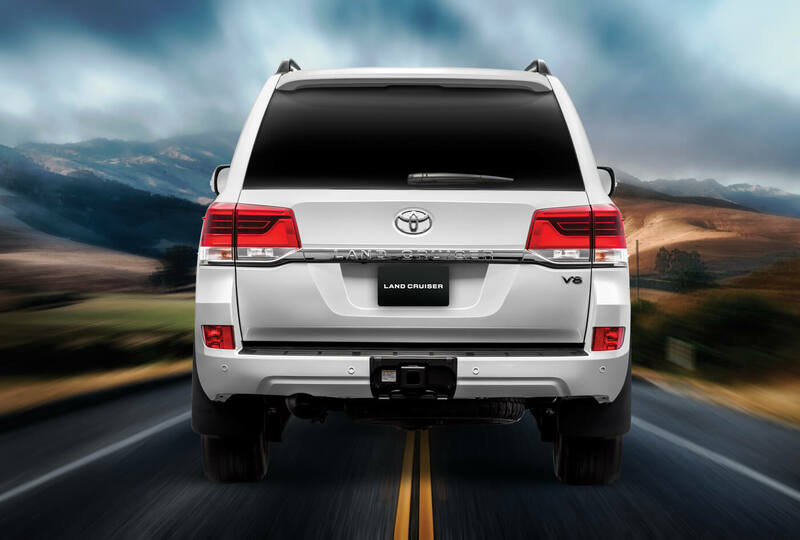 Down Hill Assist Control enhances vehicle stability when traveling on steep hills by keeping a slow, continuous speed and avoiding the wheels from sliding. Best-in-class crash protection for cabin passengers, thanks to Additional Restraint System, dual-stage driver airbag/front passenger airbag. 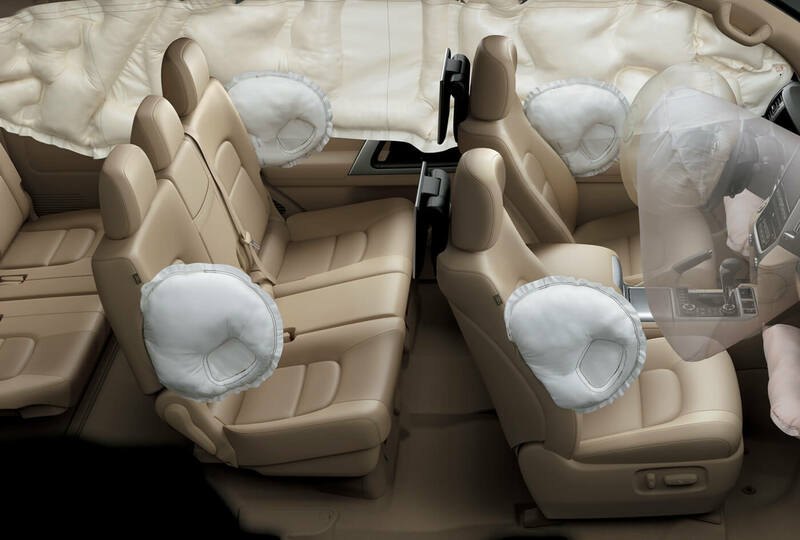 There are also knee airbags available for the driver and front-seat passenger, with curtain-shield and side airbags for two rows outer-seat passengers. 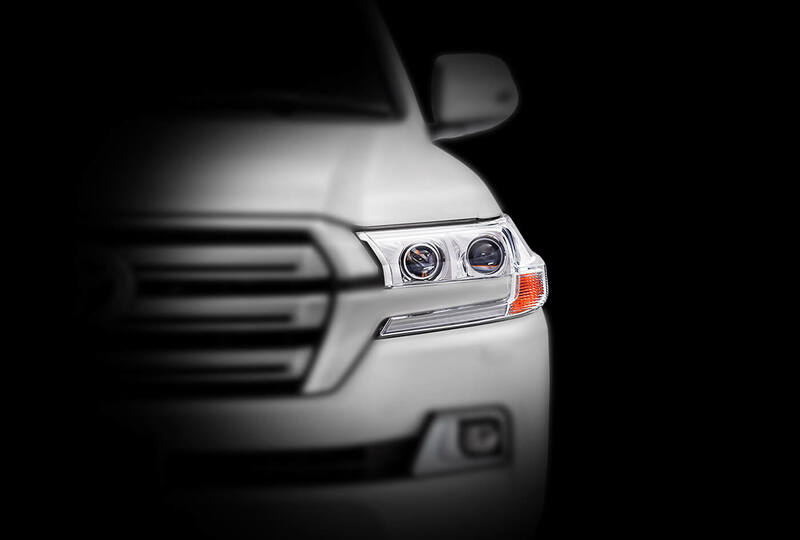 The exclusive feel of authority that permeates the expansive cockpit of the Land Cruiser is a product of the extensive design, that impeccably blends excellence and user-friendly functionality. 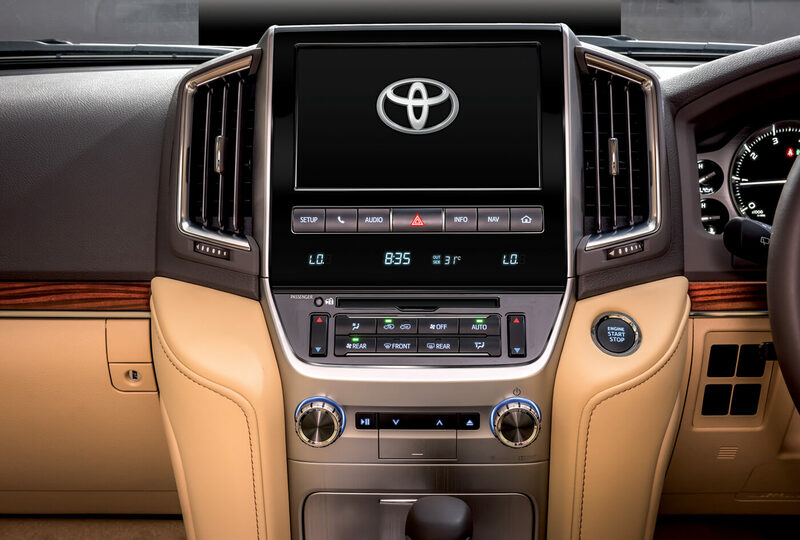 In-Dash Entertainment System of Land Cruiser 2018 is a fully unified multimedia system featuring a colored touch screen with swipe and flick capabilities and a cutting-edge audio system fully compatible with smartphones and USB devices. 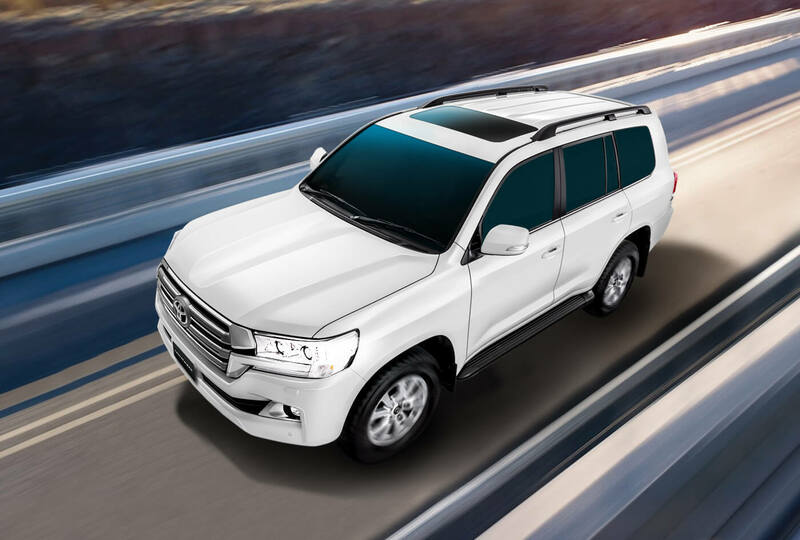 With Telephone sync option, you can conveniently synchronize your smartphone to connect it with Land Cruiser Entertainment system without compromising driving focus. 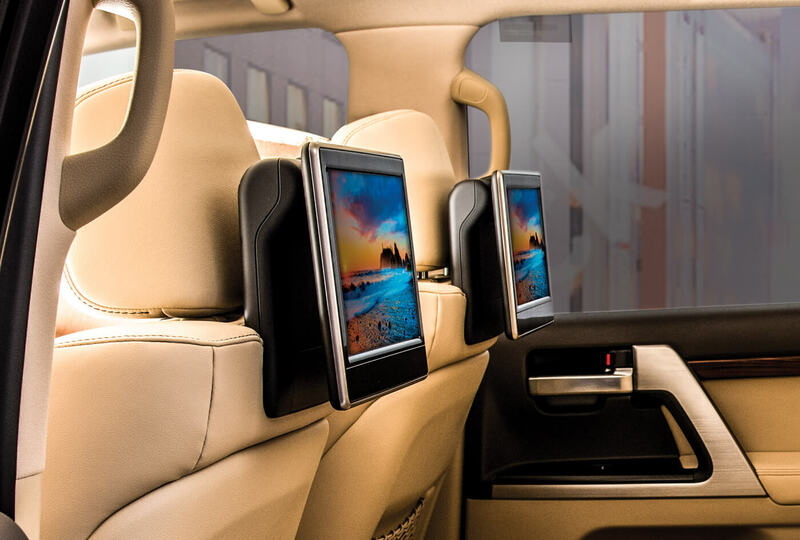 With luxury and comfort, you can experience an exclusive level of entertainment. 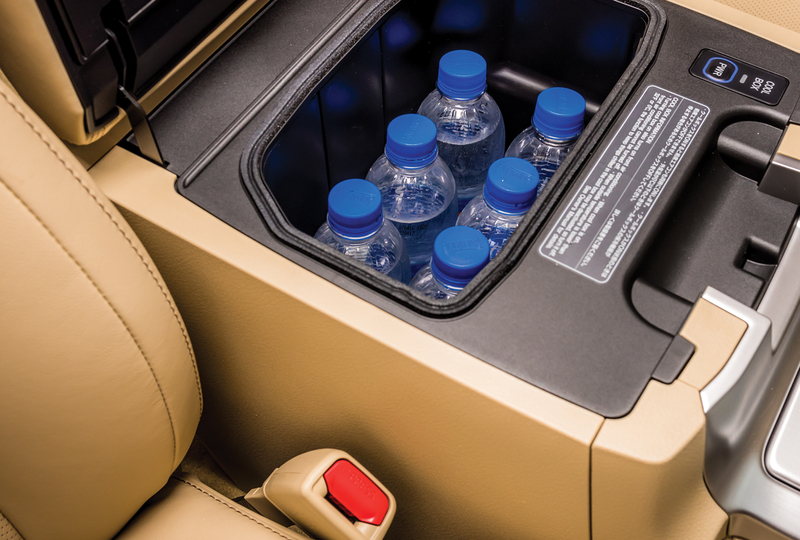 You can your own dedicated rear seats display without any disturbance. Watch videos, movies, and much more in decisive luxury. 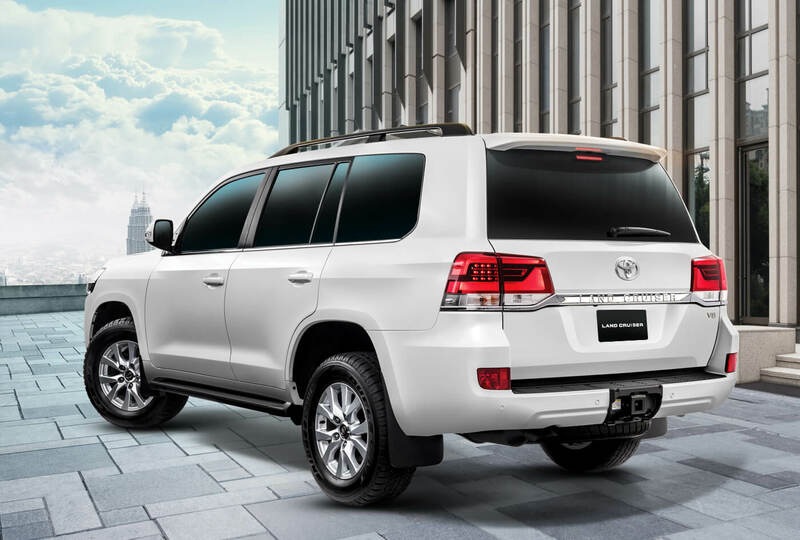 Land Cruiser Environment and Entertainment are designed to give you the complete control in your hand. 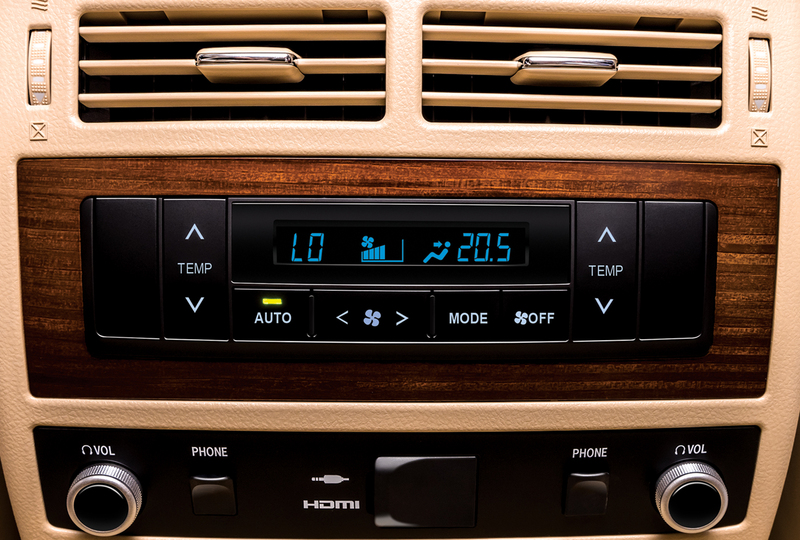 This SUV also offers Dual A/C with climate control to ensemble your needs. 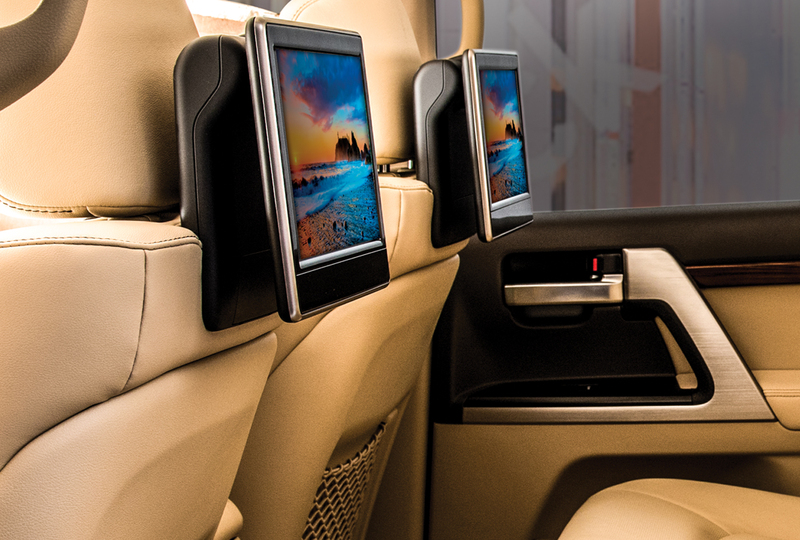 Accessible and user friendly rear seat entertainment provides everyone in cabin a sense of exclusivity. 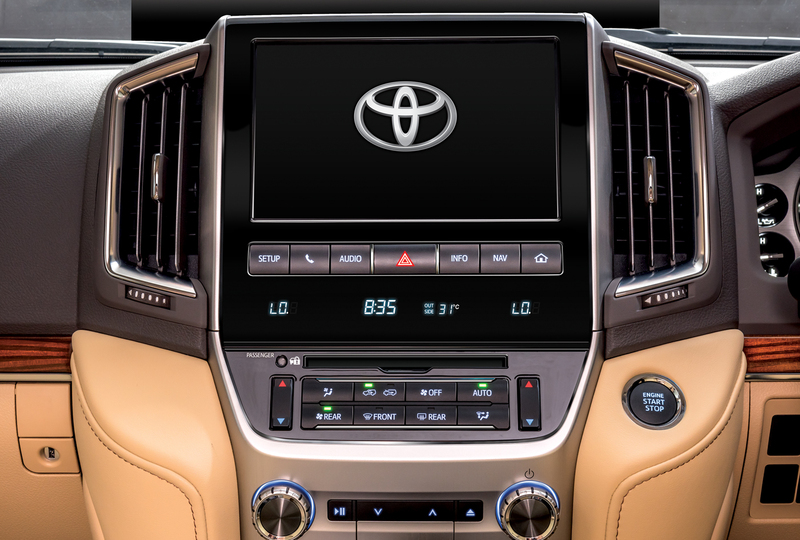 A state-of-the-art multi-information display is sitting conveniently at driver eye level. 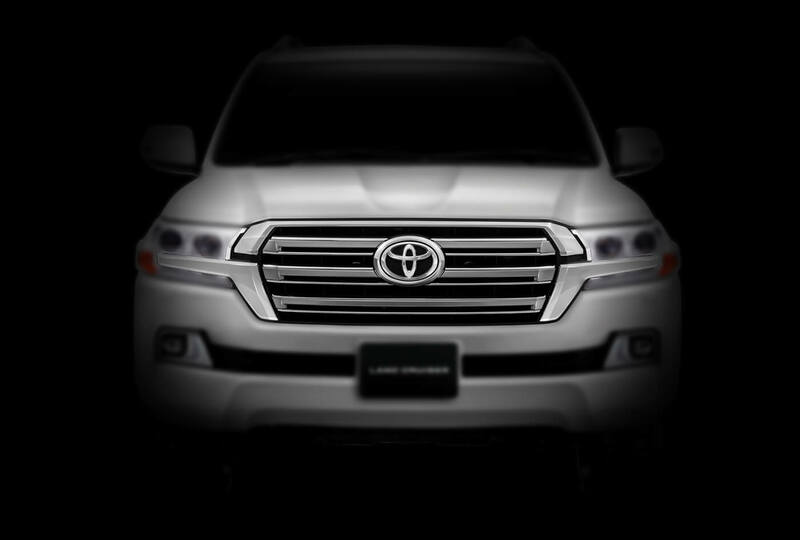 This MID offers all pertinent vehicle information, Multi-Terrain Select display, steering wheel angle, and speed. 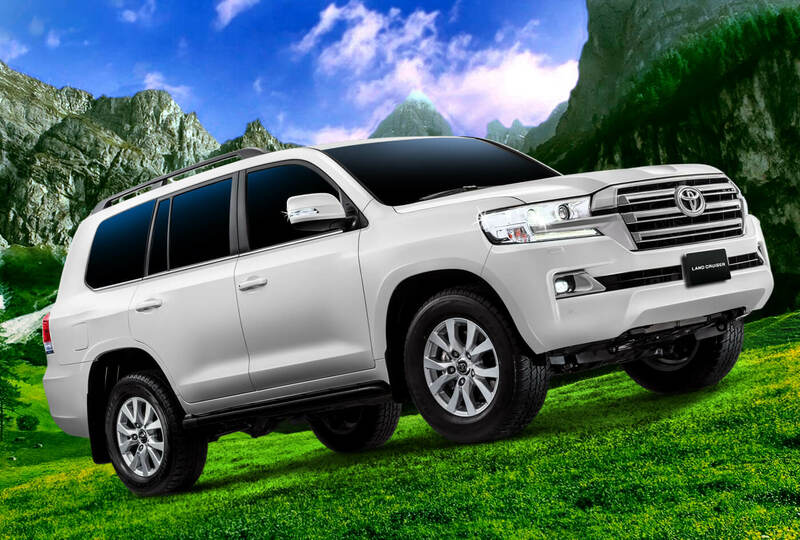 The Cool Box in Land cruiser is actually a cool gear. 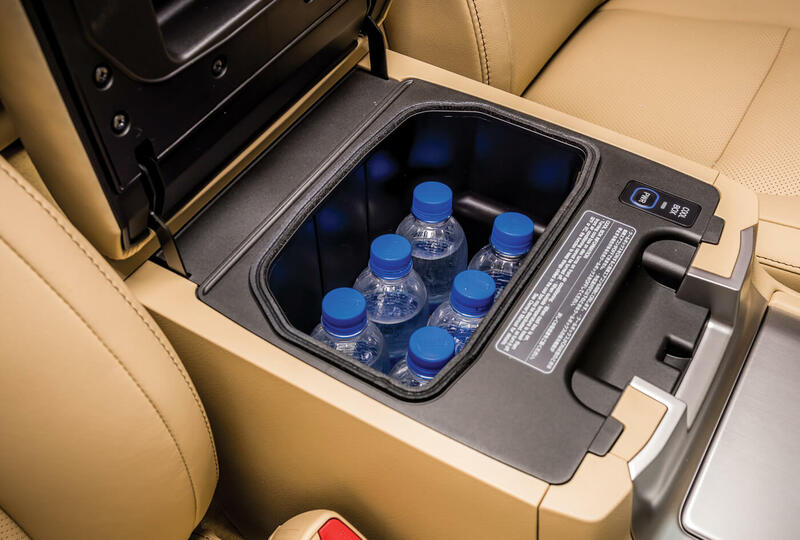 It keeps your eatables and drinkables cool while you are driving. Especially when traveling far away to your destinations in extreme weather conditions.